These Jean Muffin Molds Will be a Favorite with Guests! You may love muffins but baking them may not always be so much fun. These jean muffin molds are definitely designed to put the fun back into baking! 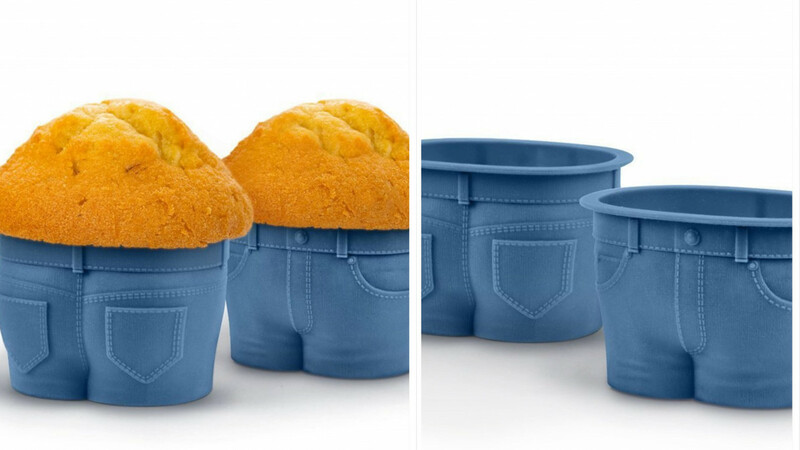 The jean muffin molds replicate the effect of skin folding over jeans that are too tight. They are chubby and are made from silicone. They are heat-resistant up to 450 degrees. This makes sure they will be entirely safe in the oven. These jean muffin molds are sure to make baking a funky and cool experience. They are also going to be entertaining for all your friends and visitors. 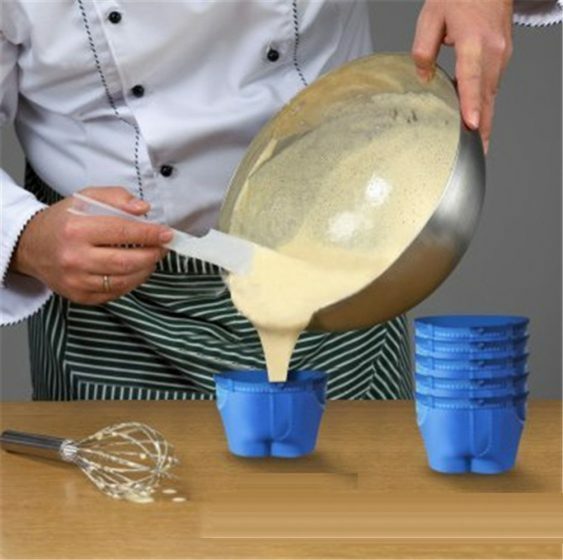 With these molds, your cupcakes will look like no one else’s! The jean muffin molds are entirely dishwasher safe and have a special non-stick technology coating. The muffin molds are constructed in a special way to capture the spillover look. This way the cake batter goes over and creates the effect of a bulge. It may also be that you are trying to lure your kids into the kitchen for some baking time! These cute jean muffin molds are sure to induce some laughter and be their favorite in the kitchen. You can be celebrating your birthday, your kids’ birthday or any other special event and use these funky molds to add some color to it. The molds measure approximately 7.5 cm x 6cm x 4.5 cm and they are reusable. Not only are they loved by homemakers, these muffin jean molds are also a favorite of chefs and TV program hosts as well.